I have moved to Zürich on July from Auckland where I've been in about 10 years. I am working as a software engineer here in Zürich for IT company which is based on California and runs a sort of cloud services. It took about 3 months to get working permit in Switzerland after getting an offer. It was a bit tough time for us because we had no idea when it would be completed. Due to hard effort of my daughter and wife, we can finally arrive at Zürich. Applied the position. Sent my CV to the company. Rejected the application due to the extensive visa application process. Technical interview via Skype (1st). Technical interview via Skype (2nd). Technical interview via Skype (3rd). Interview with HR via phone. Got visa approval from Switzerland Federal Authority. Got final approval for myself. Got final approval for family. I would like to really thank our friends and coworkers. New Zealand is great country to live, I'm certainly missing all friends and life in New Zealand. Please keep in touch. It's likely the last home screen in iOS6. I'm sorry it's a bit hard to see because I've put all 5 screens together. Only Apple's standard apps, except "Podcasts". However Podcasts app seems semi-standard app. Social apps & daily use. I've tried put blue-ish icons on left, red-ish icons on right. Apple, Google, Evernote then my apps. avoid using Folder if possible. put similar coloured icons together. put more likely used app at bottom. "CPU" actually means "CPU architecture". Emphasized text in Screen indicates "Retina display". ** represents 3x resolution. Only for iPhone 4 (CDMA). 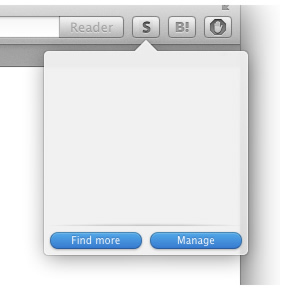 Reeder is a great stand-alone application to browse Google Reader. 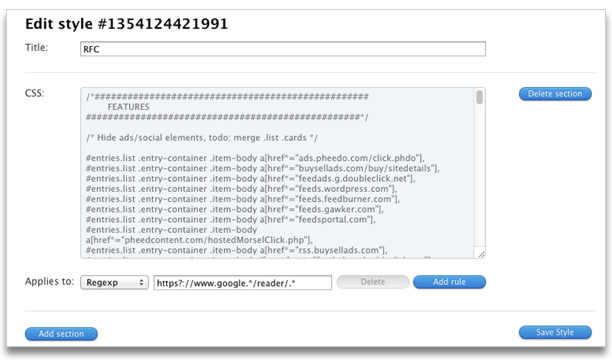 Reeder for Chrome (Unofficial) is a Chrome extension and it's inspired from Reeder to browse Google Reader on Chrome with similar look & feel to Reeder. Unfortunately development of RFC has been suspended. However its code has been opened on GitHub. Main funtionality of RFC, i.e. its look & feel, is implemented in CSS, so it can be applied into other browsers via Stylish (or equivalent functionality, like user style sheet). Download Stylish from Stylish for Safari. Open Stylish management page from Stylish button on toolbar. 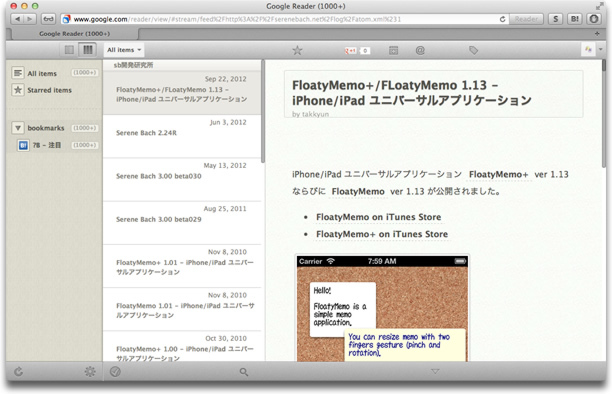 Now you can see Google Reader with Reeder-ish style. I recommend using "3 coulmns style". It can be applied into Firefox via Stylish, you however need to modify CSS a bit because original CSS is using Webkit specific CSS properties. 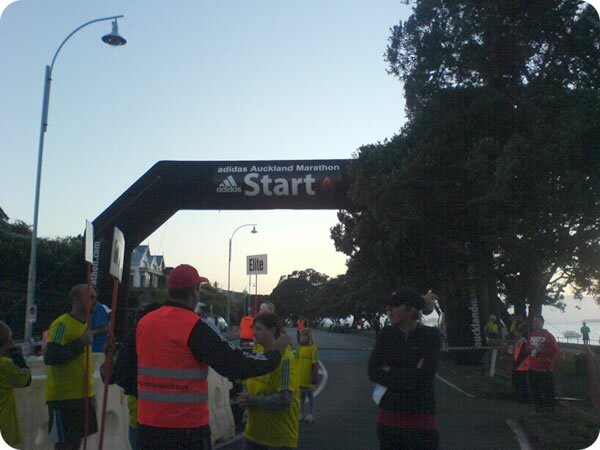 I've finished Half Marathon at adidas Auckland Marathon 2011 → My time is around 1 hour and 42 mins. It's my first half marathon. 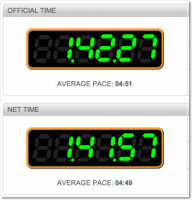 I'm glad at my time which is faster than my target time (1 hour and 45 mins). I've been jogging about 3 km after work for 2 years to be fit myself. At the begging of this year, I decided to try longer distance. 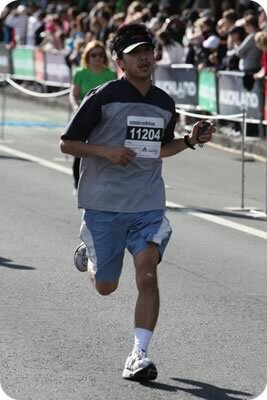 Although I've considered full marathon (42.195 km); it's too long as the first try, so I decided to enter half marathon. 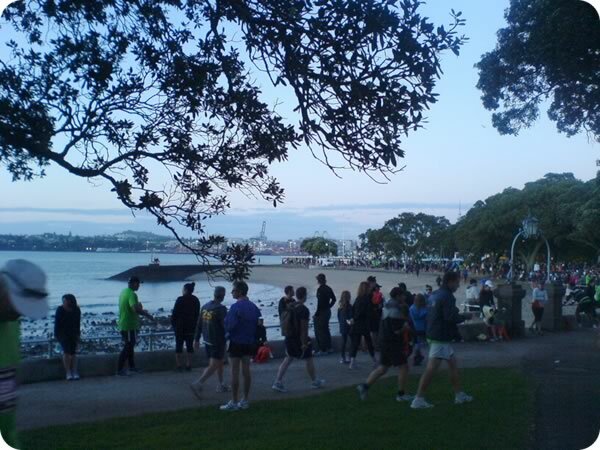 Auckland Marathon starts very early in the morning; before sunrise. Too early for normal public transport, but there are special ferries and special buses for the Marathon. There are about 4 km to the closest bus stop of the special buses; so I have to walk (and jog a bit) there, it was good warm-up for me as a result. The start point is the same for full marathon and half marathon. Full marathon started first then half marathon started. I could see sunrize during waiting a start. Here was the start gate. You can see "Elite" sign, can't you? 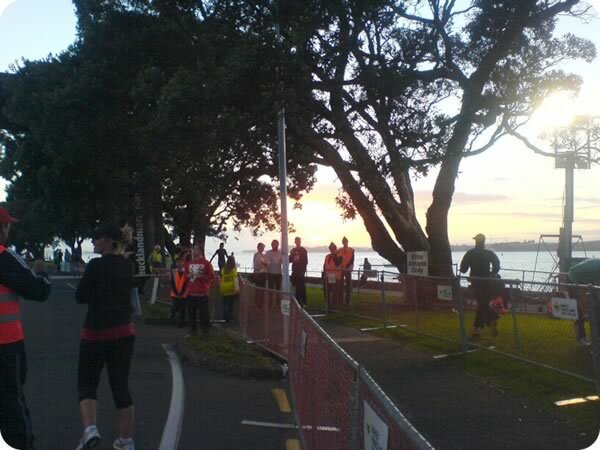 Faster runners lined at the start gate then slower runners started at posterior. 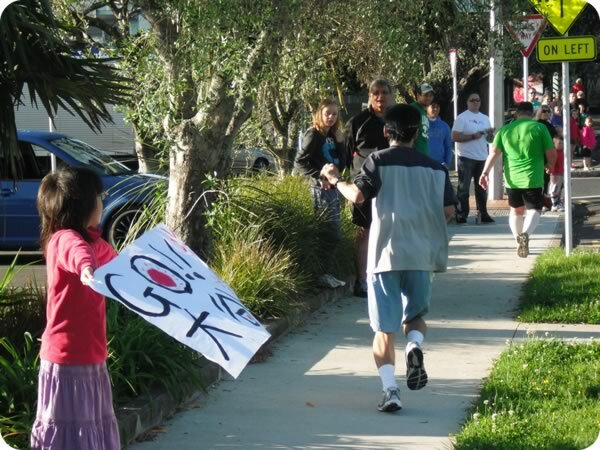 About 10 km from the start, my wife and daughter cheered me. My daughter has created a big banner for me. 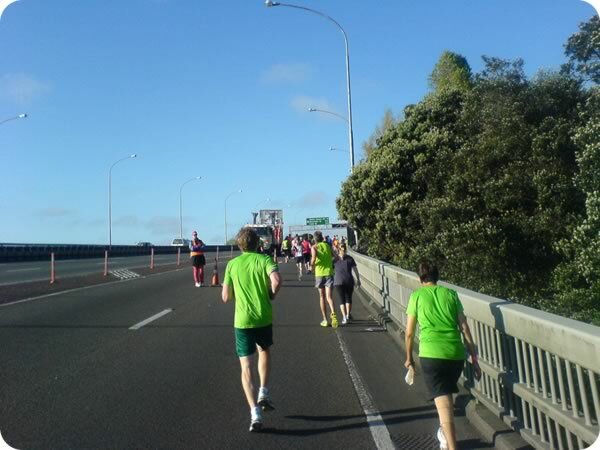 About 15 km from the start, finally I've started climbing Harbor Bridge. 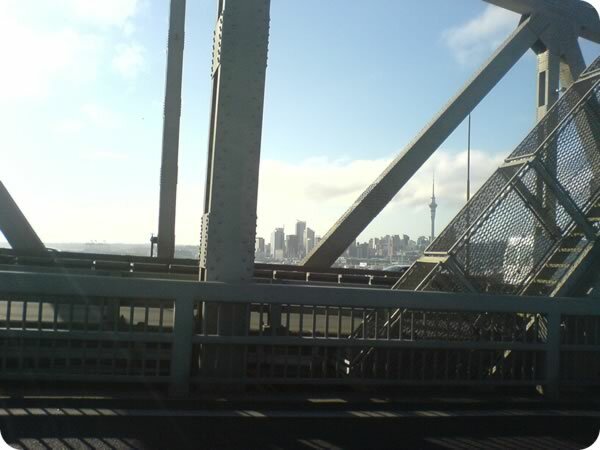 There are New Zealand national flags on the top of the bridge. Only cars can go through Harbor Bridge usually. 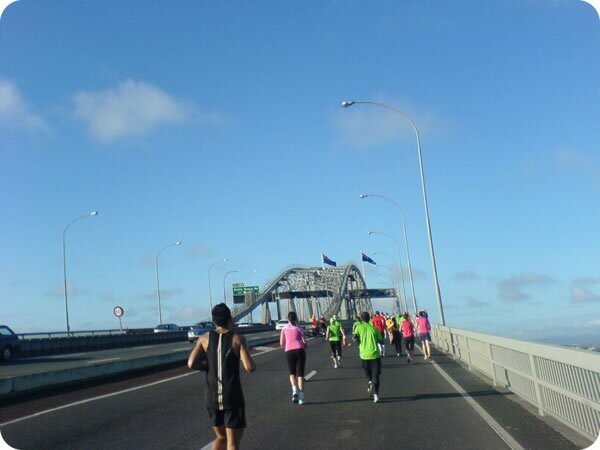 So I would like to take pictures when I ran on the bridge. I've brought my mobile phone to take pictures. Fortunately it's sunny day and bright enough to take pictures without stop. At the goal. 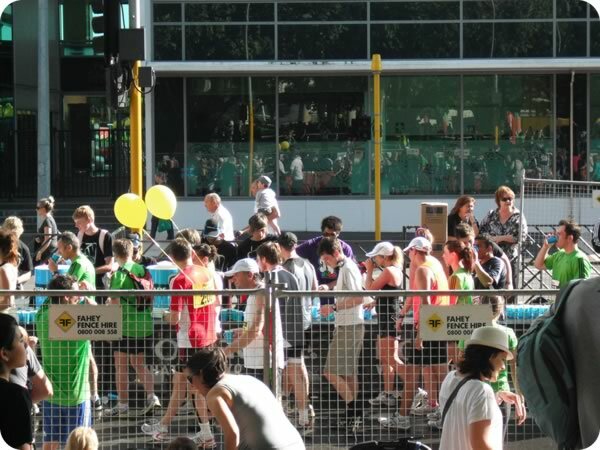 The runner with yellow balloons was "Pace Maker". Finally I could reach the goal. There are a lot of up-down in the course; it was tough. I'm not sure I can run full marathon next time. 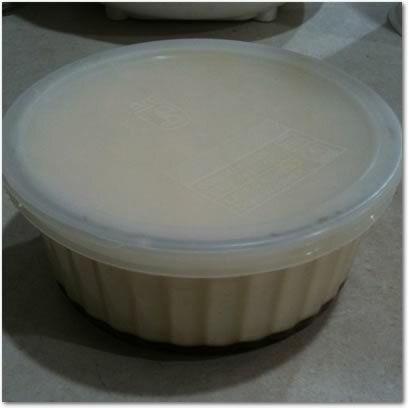 In this about a half year, I am making a pudding every week. It seems to score high points with not only my family but also my friends. 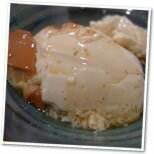 The original recipes come from "Cookpad" which is the most famous sharing recipe website in Japan. The following ingredients for about three puddings. 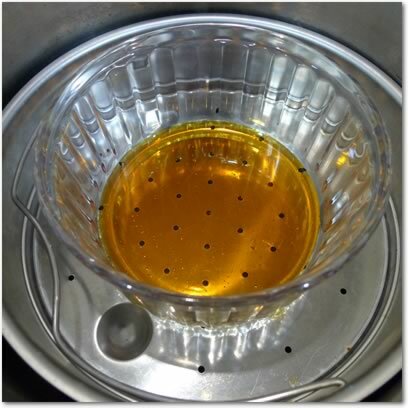 Putting sugar into the water then heating it over moderate heat. It will become brown after boiling. Stopping heating when it became dark brown. Putting boiled water into it. [Caution] Please be careful not to burn. I'm using a pressure cooker (Fissler in Japanese) for this. 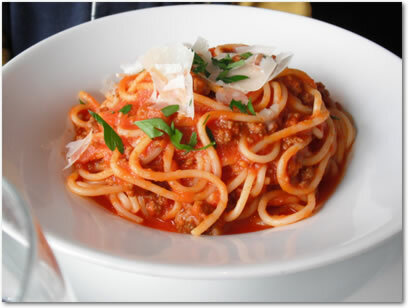 I'm using a glass bowl although using 4 small glasses in the original recipe. 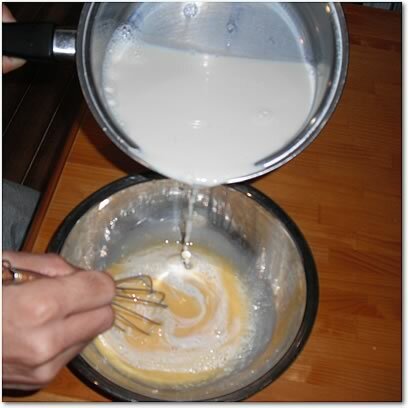 Pouring caramel source into the bowl. Putting about 200 cc water into the pressure cooker then putting the bown on steamer bascket. 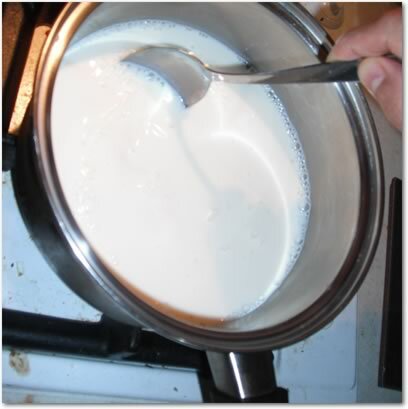 Heating and stirring milk with sugar over gentle heat. 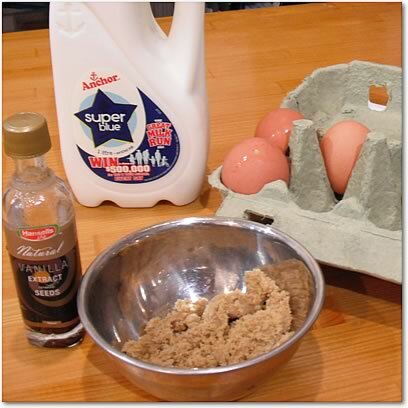 Whisking eggs then pouring the milk into it. Stirring it well. 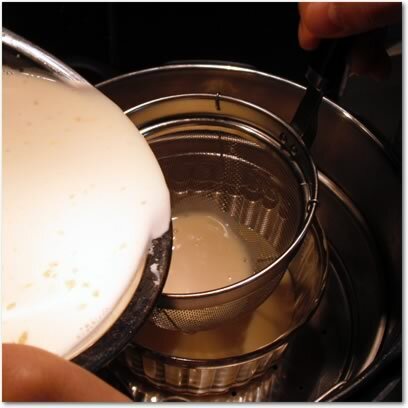 Adding vanilla extract then pouring fluid pudding onto caramel source (using a sieve basket to strain). 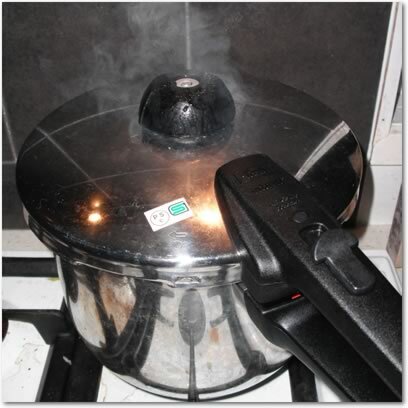 Steaming it with the pressure cooker (using lower pressure level). Taking 2 minutes after a pressure ring up. Then stopping heating. Leaving it about 1 hour without heating. Putting it into fridge, it will be ready to eat next day. Two kittens joined my family. I took over two kittens from my coworker. 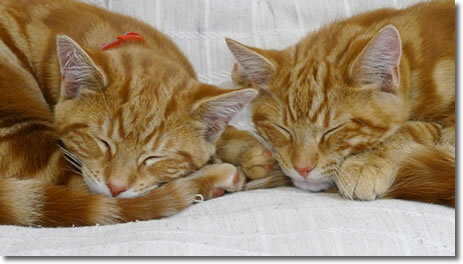 They were gradually getting used to our house, although they were a bit nervous when they came. Now they are often playing together freely. I was getting one year older this week. Usually we go out to eat on the family member's birthday. 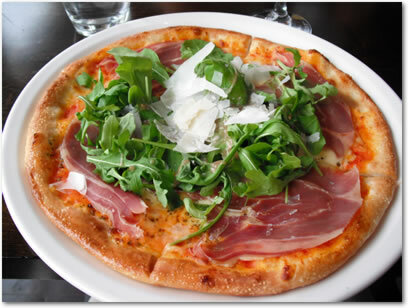 I thought that I'd like to eat "Italian" this year, so we've been to PORTOFINO in Takapuna. It was quite good. We really enjoyed the dinner. 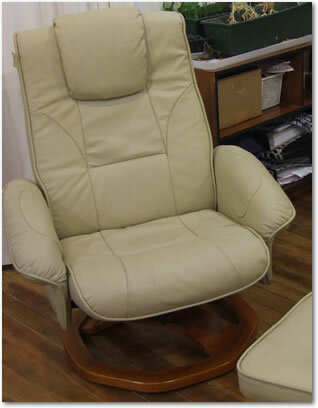 It has footrest, too. I've never known we call it "ottoman" so far. I wonder where my wife hide it in our house. She said "You may notice it..." ... No, I have never noticed. Thank you very much. I am a really lucky man. 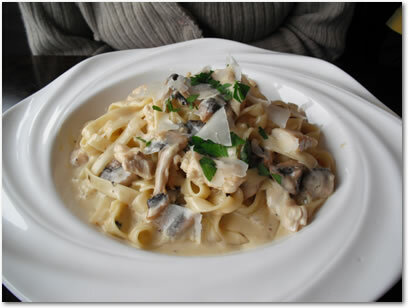 Lightbox is very cool and useful script to display an image on the page. Lightbox is quite attractive, so nowadays we have a lot of alternatives (see examples). Lightbox plus is one of alternatives as well. The original "Lightbox" has been updated as Lightbox JS v2 which supports several new feature such as image set and cool animation transition. I've already implemented image set feature in lightbox plus, however I haven't touch any animation transition so far. Recently one of my script users requested animation transition into my script, so I tried to implement this feature. Fortunately my script has already been using a timer (setInterval) to keep the proper position and size for a image against the browser window. _run method is a callback of the timer, so it will be called priodically. Animation transition is not main functionality for my lightbox, so I've made do with simple implementation. I've added new member variable _anim.step to check the current state regrding animation. So it's quite obvious what the script is doing in _run. Resizing image will occur when a user enlarges the image, resizes the window, or changes the zoom level of the image. So the lightbox will do resizeing in those cases as well. The latest lightbox script (ver 20090729) also supports the delayed initialization. The code Spica.Event.run means running at onLoad. Then later you can call refresh method at the time when the page is ready. window.document could be any DOM element here.